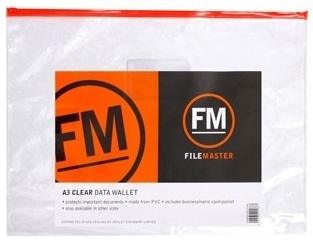 File Master's Data Wallet are suitable for A3 size file sheets. The clear data wallets are made by PVC material. The data wallets are used for storing documents.